Haunted, strung out and paranoid, John the Junkie keeps telling himself that the land of Oz wasn't meant to be like this, but then he did always see the world a little differently with that weird colour-blind thing he's got. "Have you ever seen the Sun when it's blue?" John just wants to go back home. Ever since arriving in Australia, he's been nothing but a thief. The voices in his head will tell you, "He's scum, he's nothing!" but John's been off the needle for days. He's trying to give up the drugs. He's trying to turn over a new leaf, but behind every leaf, there's a thorn waiting to cut your good intentions to shreds. So now there's just one more piggy bank to crack and if it works out, Junkie John's going home. 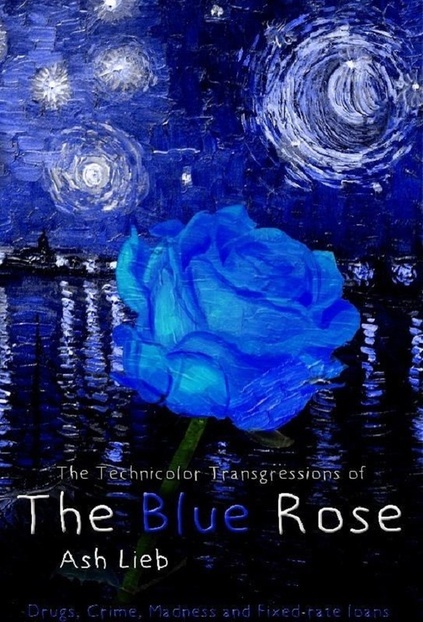 Written In 2003 at the age of twenty, The Blue Rose is a story penned by Lieb after learning that he would require urgent surgery for a brain tumour. Having always sensed that he would die before his twenties just like his brother, Lieb felt that his time had long expired, and with less than two months before surgery, the writing began and the story was completed within hours of going under the knife. Work hard. Get good grades. Get a good job. Earn lots of money, and basically waste your life away on a fool's dream. At eleven years old, Sara doesn’t believe in silly magic anymore. Barely weeks after the mysterious discovery of the body of her childhood friend, a new family move into her friend's old home with an ever so strange little boy. Sara soon invites the quiet boy to the old secret well, beyond the caution signs and the dark woodlands where a flourishing secret garden grows in the clearing with a menagerie of wondrous trees. As their friendship grows, Sara soon comes to question her dreams, the terrifying secrets around her and her very belief in magic.